Became Chairman of the Board of the Religious Technology Center, the effective head of the Church of Scientology, at age 26. Responsible for the organization receiving a religious tax exemption from the IRS in 1993. 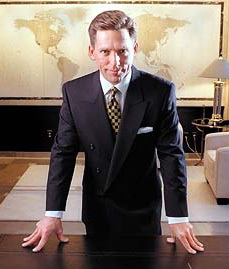 Brother: Ronald Thomas Miscavige, Jr.